When someone buys from you they are in buying mode. They want to purchase. Which means they are also at the most receptive stage to buying more from you. So how can you maximize the opportunity for upsell? You need a system in place, that’s how. Upselling involves selling something extra to your customer. It’s something that’s evident in all sorts of industries. In the car or consumer technology industry it could be extended warranties for example. And generally it’s particularly powerful in high value transactions. You need to find something else that you can upsell to your customers. So, if you are selling annual bookkeeping at £5,000 for example you will want to add in something extra for a price such as £100. When people are already in buying mode and you offer an additional, smaller purchase like this they think they are already spending £5,000 so what’s another £100. And so they add it on. Because of this you need to have a systematic process in place. You need to ensure that when someone buys from you they go through the upsell system. You have to offer them other things that will give them a better solution or make their life easier. The good news is that often these things will be high value but easy to deliver. They may not represent significant additional turnover but they will represent significant additional profit. They are also often the things that traditionally as a profession we have given away for free. By using an upselling system you will find out that a high proportion of clients will buy something else. The upsell will be successful. And for you that could add up to huge numbers over the course of a year. Money that you would be throwing away if don’t have an upselling system in place. With my cloud pricing software, an upselling system is built in – and the client is guided through the upsell system as soon as they hit the select button. 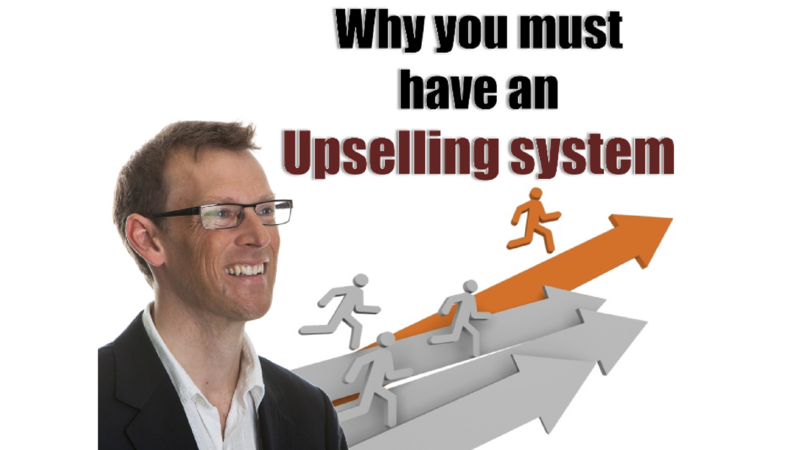 Find out more about why you must have an upselling system to help boost your bottom line by watching my video here.